India's Supreme Court has ordered federal and state governments to regulate the sale of acid in an attempt to reduce attacks on women. The court said that acid should be sold only to people who show a valid identity card. Buyers will also have explain why they need the chemical and sales will have to be reported to the police. There will also be more compensation for victims. There are an estimated 1,000 acid attacks a year in India. The victims, who have to live with terrible disfigurements, are mainly women and are often targeted by jealous partners, correspondents say. In Thursday's ruling, the Supreme Court ordered that acid should be not be sold to anyone under the age of 18. It also ruled that there should be no bail allowed for the offence. In addition, victims of acid attacks will be entitled to more financial help from state governments - the court said compensation of at least 300,000 rupees (£3,320; $5,000) must be paid to help rehabilitate them after their ordeal. 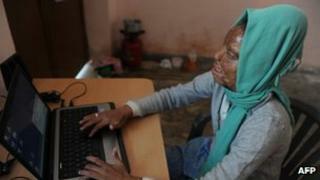 The Indian government has been accused of being too slow to deal with the issue of acid attacks. Earlier this month, the Supreme Court strongly criticised the government for failing to formulate a policy to reduce such attacks. It says it wants to see these new measures enforced within the next three months. Campaigners hope it will lead to a fall in the number of crimes committed, as happened in Bangladesh when it bought in restrictions on acid sales. Acid attacks are a problem throughout South Asia, with cases also reported in Bangladesh, Pakistan and Afghanistan. Campaigners say women who reject boyfriends, husbands or employers are often targeted by men using easily available and cheap chemicals. Earlier this year, India introduced tough new legislation to counter violence against women. The legislation contains harsher penalties for rapists, including the death penalty, and up to 10 years in jail for acid attacks.